Now THAT is how you dress for a Christmas day post-game presser. Well done, boys. 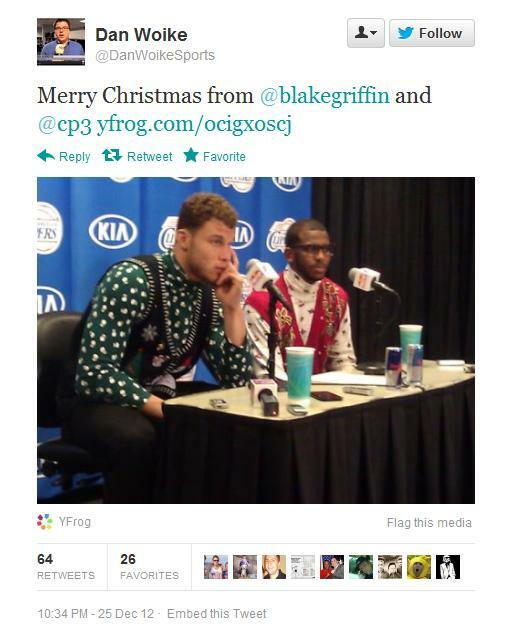 This entry was posted in Basketball, Fashion and tagged Blake Griffin, blake griffin cp3 christmas sweaters, cp3, ugly nba christmas sweater. Bookmark the permalink.